First published in France in 1958, then in the United States in 1959, Robert Frank's The Americans changed the course of twentieth-century photography. 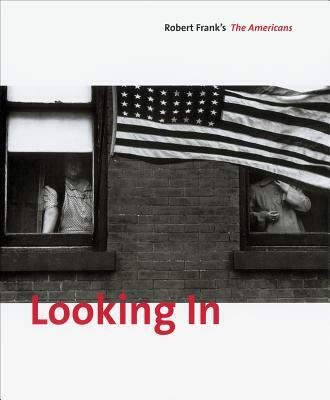 Looking In: Robert Frank's "The Americans" celebrates the fiftieth anniversary of this prescient book. Drawing on newly examined archival sources, it provides a fascinating in-depth examination of the making of the photographs and the book's construction, using vintage contact sheets, work prints and letters that literally chart Frank's journey around the country on a Guggenheim grant in 1955-56. Curator and editor Sarah Greenough and her colleagues also explore the roots of The Americans in Frank's earlier books, which are abundantly illustrated here, and in books by photographers Walker Evans, Bill Brandt and others. The 83 original photographs from The Americans are presented in sequence in as near vintage prints as possible. The catalogue concludes with an examination of Frank's later reinterpretations and deconstructions of The Americans, bringing full circle the history of this resounding entry in the annals of photography. This volume is a reprint of the 2009 edition.